Successful businesses all have one thing in common. They were started by a person or a team of people who set out to create something remarkable. Often it’s not just a product or service that drives success. It’s the culture, core values, and the DNA of an organization that sets any business apart from their competitors. When the founder of Energy Monster met us in 2011 with nothing but an idea and a napkin sketch, we knew instantly that a strong brand strategy could support their aspirations. 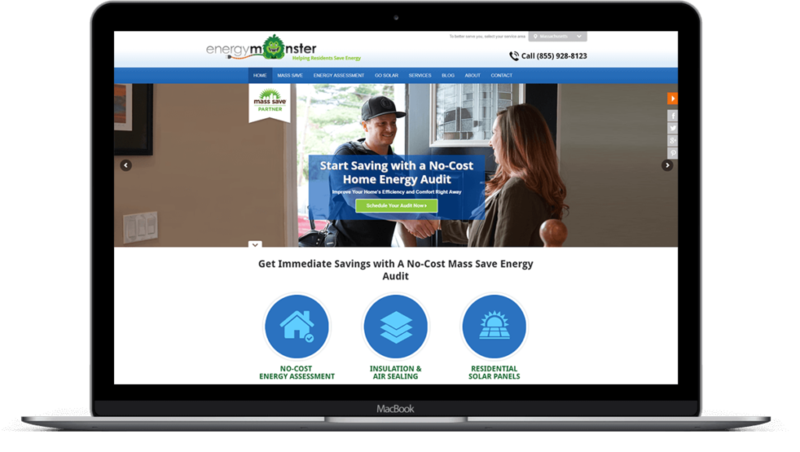 The business concept was to support homeowners in Massachusetts with improving their overall energy efficiency, thus improving comfort and lowering the cost of utility bills. 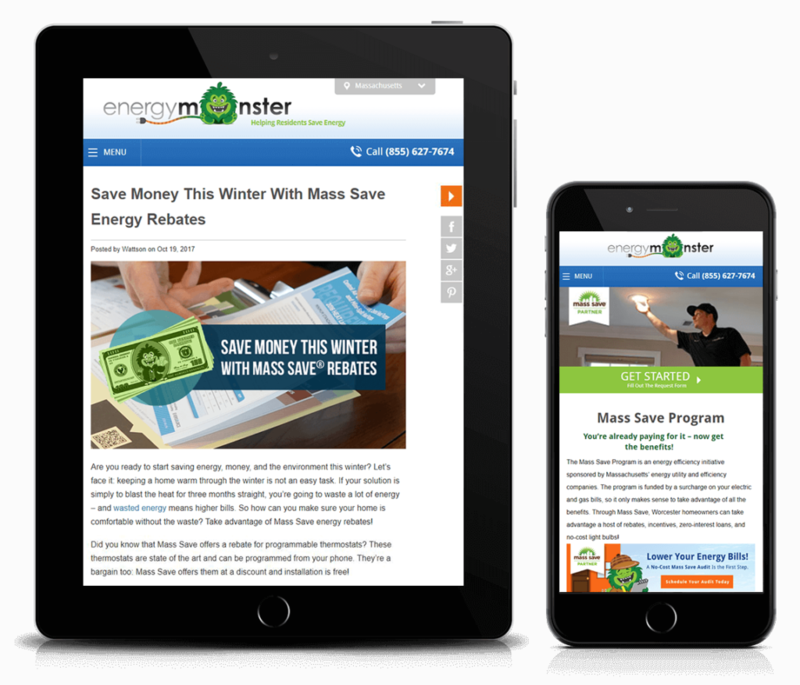 Initially, Energy Monster requested guidance around marketing, brand development, and a website. For more information on brand strategy and our proven process, feel free to read The Secret Behind a Successful Brand Strategy on our blog. During the strategy stage, we set out on a mission to gain a deep understanding of Energy Monster and the audience they wanted to reach. 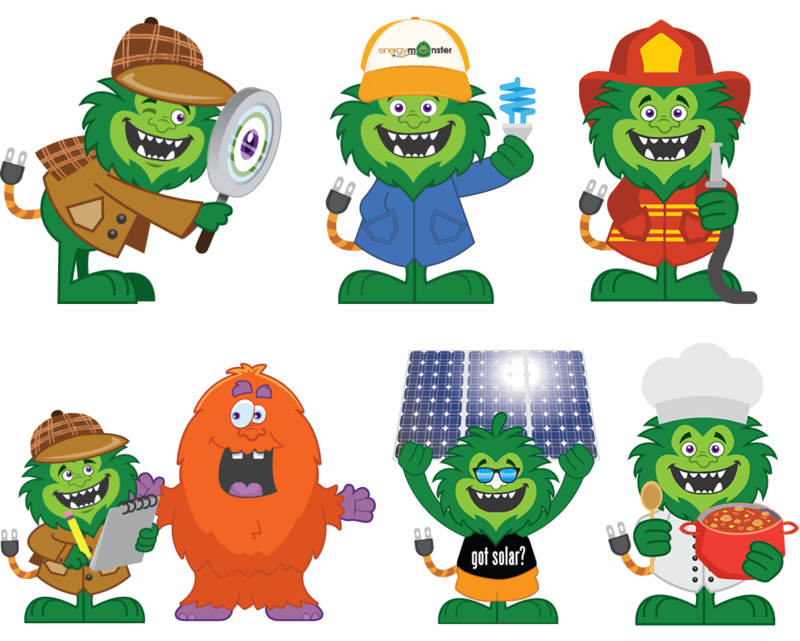 Through competitive research we identified that their competitors impersonal positioning and faceless approach would not identify with Energy Monster’s target persona. We wanted their brand presence to be fun and personable, and capable of building an emotional connection with their desired audience. For more information on brand strategy and our proven process, feel free to read The Secret Behind a Successful Brand Strategy on our blog. During the strategy stage, we set out on a mission to gain a deep understanding of Energy Monster and the audience they wanted to reach. Energy Monster’s commitment to developing a strong brand strategy has helped them thrive in a competitive market. With a firm foot print in four states, their inbound marketing results have doubled year over year. resulting in a 39% increase in organic leads. We hired NEW PERSPECTIVE to build a website to showcase our brand engaging body of work. Their expertise in SEO and the positioning of our content accordingly confirmed that we selected the right company with whom to partner. They were a pleasure to work with – professional, patient and consultative. We hired NPWS to build a website to showcase our brand engaging body of work. Their expertise in SEO and the positioning of our content accordingly confirmed that we selected the right company with whom to partner. They were a pleasure to work with – professional, patient and consultative.